Statue of Ramesses the Great of ancient Egypt, a.k.a. Ozymandias, the subject of Percy Shelly's poem of that name on the fleeting nature of achievement. 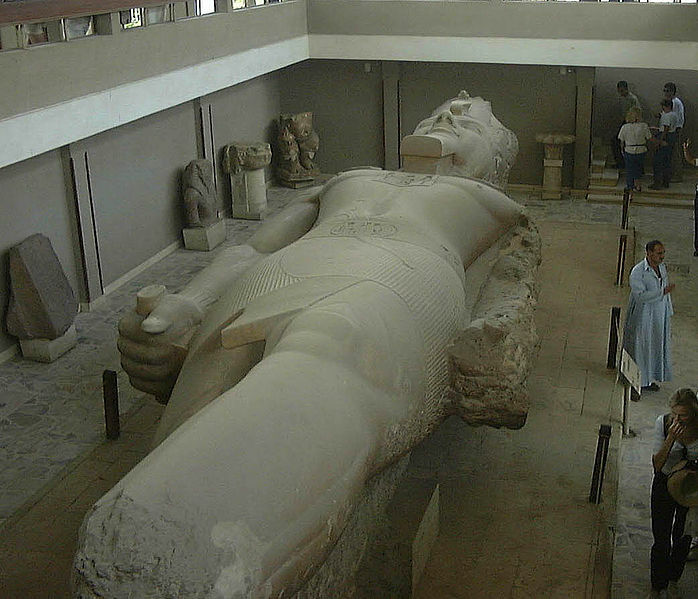 Ramesses II reigned about 3,500 years ago, making him one of history's longest remembered individuals. As we move on through life, wisdom and insight come if we are lucky. I was thinking how people in general feel that they must achieve something to have some sense of worth. Let’s examine what achievement means. To most it means having a meaningful job or career, finding social partnership, and having events that can be worn on the sleeve, as in, “I am So-and-So and I do this or that.” But is that what to achieve means when we look into the near future of, say, 50 years? I would venture a safe bet that no one on earth will know of you much less what you “achieved” 50 years from now. It seems to me that to achieve, one is suppose to accumulate something or do something that can be rewarded, all leading to a destination: I am successful, I am rich, I did such and such. But do we ask the real question. Did we like the journey, the ride? Did we like what we did? If I am correct that perhaps nobody will remember that we even existed on this earth in 50 years, then can anything matter other than the quality of the life we live—the journey, and not where we think we need or want to get? We should ask for the wisdom to seek the path that will bring joy and fullness to our brief (brief even if you live to 100, when we live on an earth that has been here 4,500,000,000 years) experience on earth. Time is all that we can ever really own, and using it to fret over material, non-ownable items is throwing away that one real possession we do have. Enjoy the ride.